What Does A Customer-First Business Look Like? | ASTRALCOM - Content Strategy, Conversion Marketing and Customer Acquisition. Forrester Research’s 2007-2014 Customer Experience Index studies showed that companies that were customer experience leaders generated a cumulative total return of 77.7%. 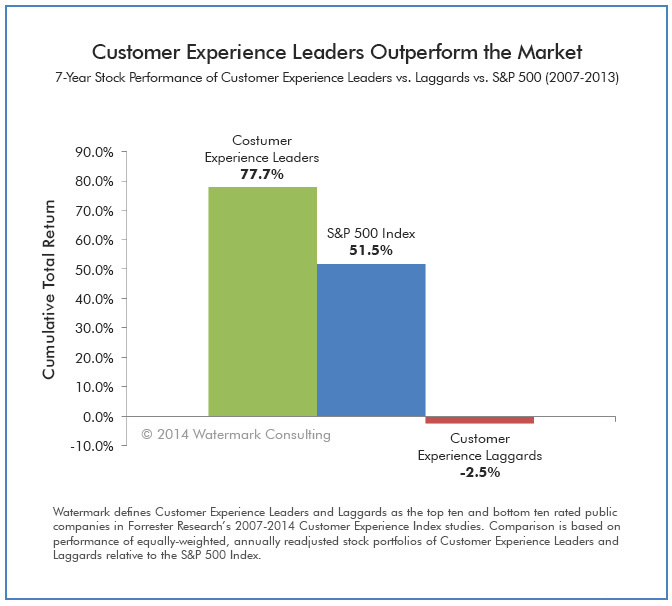 Even more surprising, customer experience laggards generated a -2.5% return. That’s not a small difference. Daniela Burstein at eMarkerter goes into more detail in his excellent article and also offers a few good examples of companies setting the standard in customer experience. We can certainly tell you that small adjustments in the customer experience can yield huge returns. What challenges does your company face in creating the ultimate customer experience? Let us help you make it a reality. Just click or call us at 800.536.6637.